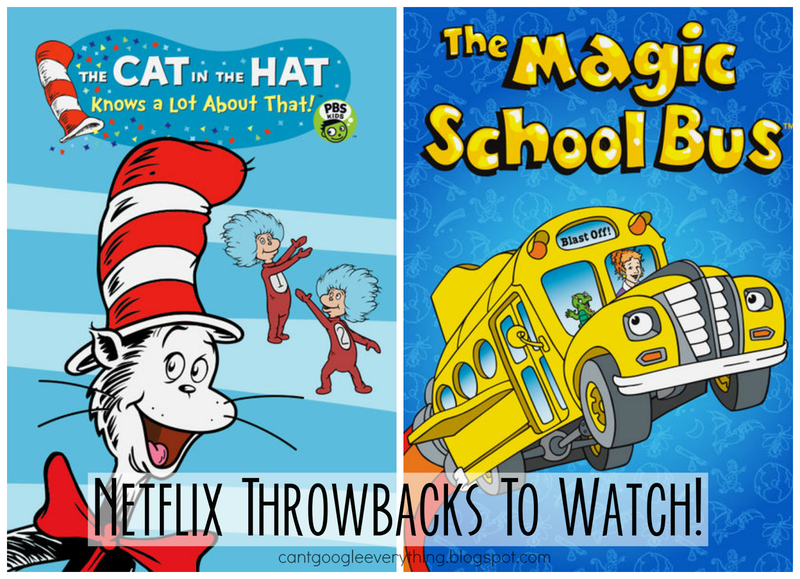 Netflix Throwbacks & a Cat in the Hat Snack! This month we’ve been enjoying plenty of throwbacks on Netflix, and not just on Thursday! With Netflix recently releasing an original series of Inspector Gadget in March and the recent release of Danger Mouse, it’s fun to get caught up in the nostalgia of watching some of your old favorites! My son has been loving The Cat in the Hat lately, and I recently introduced him to another throwback favorite of mine- The Magic School Bus! He took a few episodes to get into it, but now he ask for it by name! Usually I try to make some sort of activity to go with one of our Netflix shows, but this month I thought it would fun to do an easy and delicious snack instead. 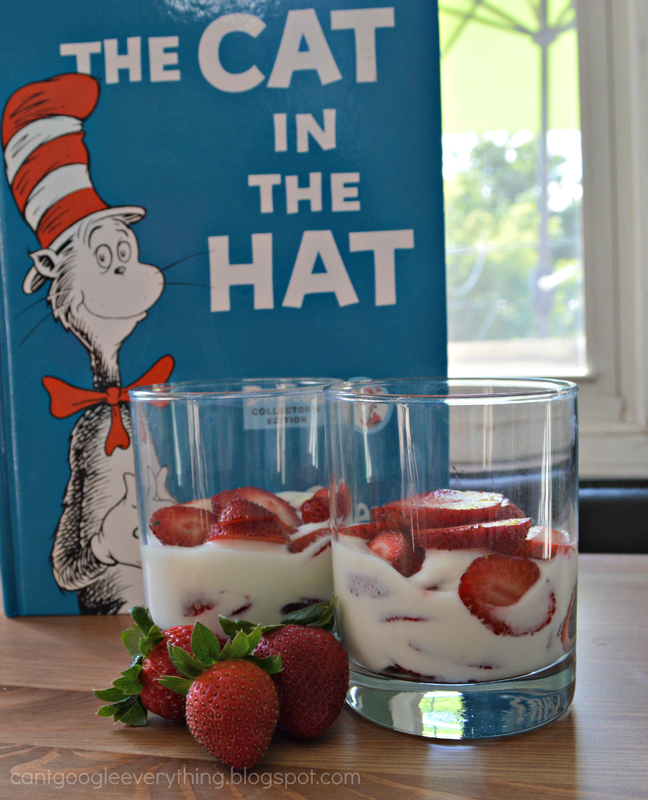 I created some Cat in the Hat themed yogurt parfaits for us to enjoy after watching the show. 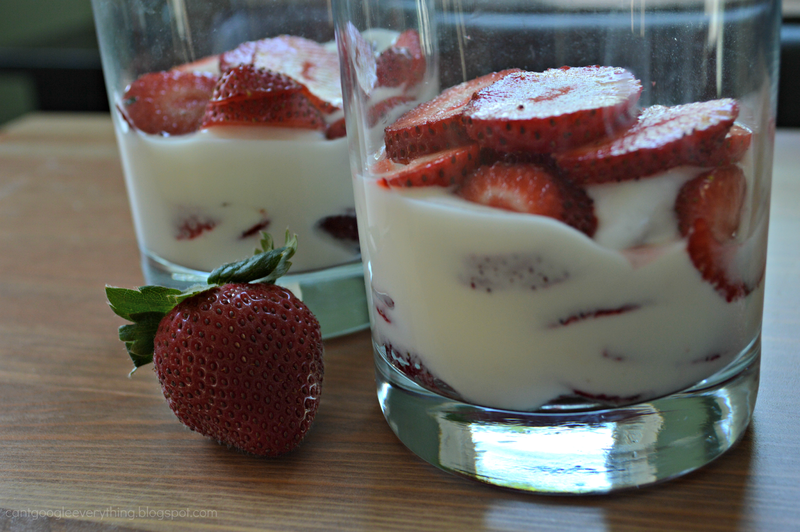 Just layer sliced strawberries, or raspberries, with your favorite brand of vanilla yogurt. Be sure to layer red-white-red-white-red to go in the same order as the Cat’s hat! This snack was delicious and healthy, too! We also checked out the book to give Carter some background to the show! What’s your favorite throwback show? Here’s some other throwbacks to check out on Netflix with your kids this month! Disclosure: I am a member of the Netflix #SteamTeam and Netflix has provided me with products and services in exchange for participation. All opinions are my own and we really do love and enjoy Netflix! I love this idea of making snacks to match activities. I need to check out some of these. I have Netflix and barely use it. Such a cute idea! We love Netflix and my son is just starting to watch the Magical School Bus. It's a great show. My kids love Scooby Doo! I really need to get on netflix! That snack looks quite delish! I did not know a lot of those titles were on Netflix! Thanks for sharing! Inspector Gadget would bring back such great memories!